Patience is bitter, but its fruit is sweet. ― Aristotle. Patience is not one of my stronger qualities. In fact, if I made a list, it would probably end up around the bottom. It’s easy to blame the erosion of patience on technology. Who doesn’t get a jolt of adrenaline with every smart phone chirp? Patience is a virtue worth developing. I once prayed for patience, and guess what? God made sure there were plenty of opportunities for me to practice – in long lines at the grocery store, during rush hour traffic, while on hold for customer service. This is what I learned: Patience is not a gift bestowed from the heavens, it’s a muscle that must be developed. But once strengthened, patience brings many blessings. 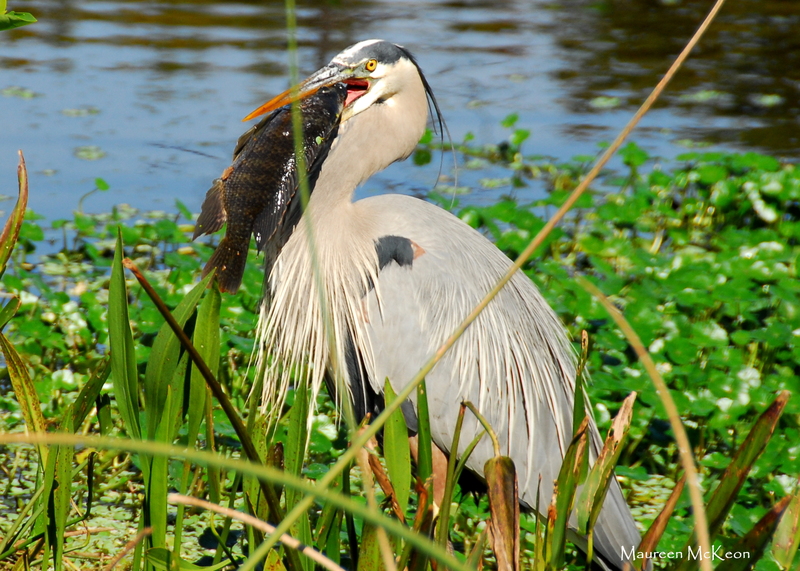 If you really want to flex your patience muscle, take up wildlife photography. To get a great shot, you’ll learn to wait…watch…study….and wait. 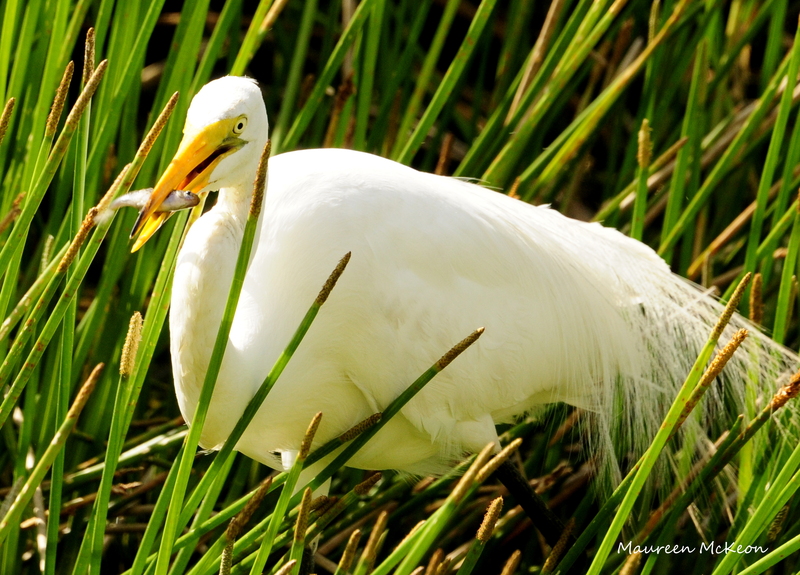 Observe the Great White Egret – a master in the art of patience. You might spot one of these elegant birds in shallow water, standing as still as a statue, watching for unsuspecting prey to pass by. Many minutes go by without any sign of movement. You’ll be tempted to move on to more active subjects, but wait…and watch. 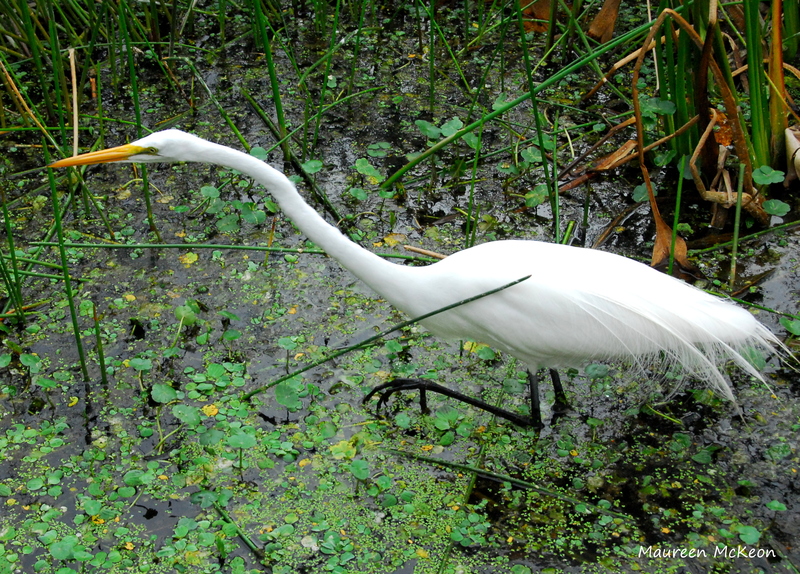 Suddenly, with startling speed, the egret will strike! With a quick jab of its long neck and bill, it will catch a fish or small frog – down it goes in one big gulp. Ahhh, so worth the wait! 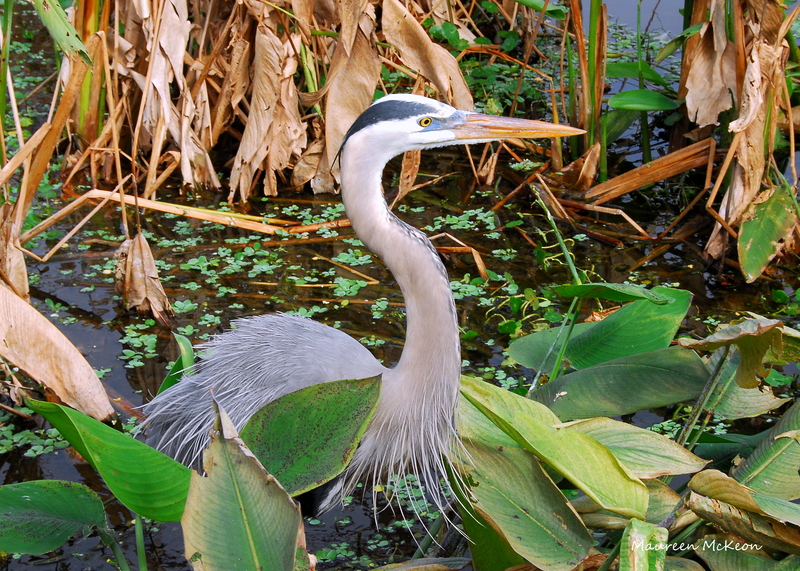 The Great Blue Heron is another bird that practices extreme patience, and you may have to practice some patience yourself in order to appreciate its beauty. This stately bird often stands motionless as it scans for prey or wades with long, deliberate steps. Now turn off your smart phones and get out there! You’ll be amazed at the wonders that surround you, when you just sit quietly and wait.